Stroh is an Austrian rum that is made up of a secret blend herbs, but within the mysterious blend swirls a violent cyclone of flavour that is ideal for mixing or cooking – whether it be a jagertree or Feuerzangenbowle, or, if the mood calls for it, a flaming B-52 (add a final layer of Stroh 80 and set it alight). This overproof rum is different to other rums because of its distinct aroma, which adds another dimension to cocktails and food. The below video by GermanDeli.com shows how Feuerzangenbowle is made (you can use any overproof rum, but Stroh has a beautifully distinct character), which might be handy right now for Australians or in a month or two for readers from the United States, Europe and Russia! This fine Austrian rum will be sure to warm up even the coldest night. The character of this rum compliments many cocktails beautifully, and it holds its own within the ingredients unlike many spirits which are sometimes diluted or lost. The aroma of whipped cream and chocolate thick shake with cherries – glazed and fresh – is first noticeable with buttered popcorn. Sweet molasses develops with wood spices and nuts, but amazingly the alcohol – remember, this is 80% ABV – never pierces the nose. Drank neat, it ignites the palate into flames… almost like a kick in the mouth by Oliver Bierhoff in his prime! Mix it, and it can take most cocktails to the next level. 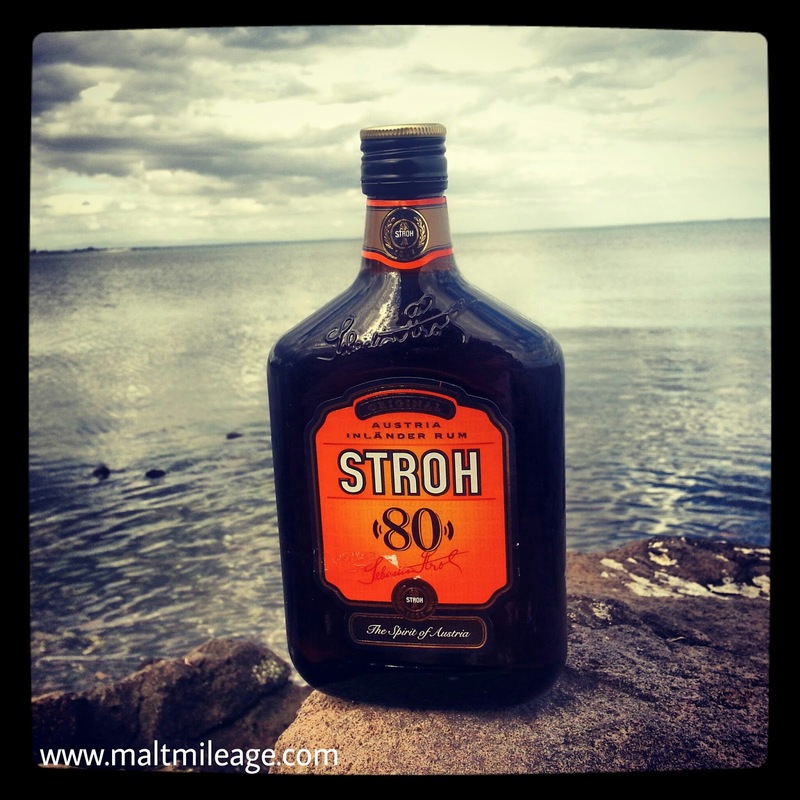 Enjoy Stroh mixed for summer cocktails or to warm up during winter, this is great rum – no wonder the recipe is a secret!